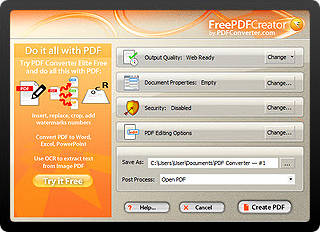 Create PDF from any printable Windows format – over 300 different file types at last count. Unlimited use, no time limit. Developed with Microsoft Office Formats in mind. Create PDF from Microsoft Word, Excel and PowerPoint easily and accurately.